TORONTO -- Ontario has eliminated free tuition for low-income students as it attempts to trim a multibillion-dollar deficit, a move that - despite an accompanying tuition fee cut - is being slammed as harmful to those it's purported to help. 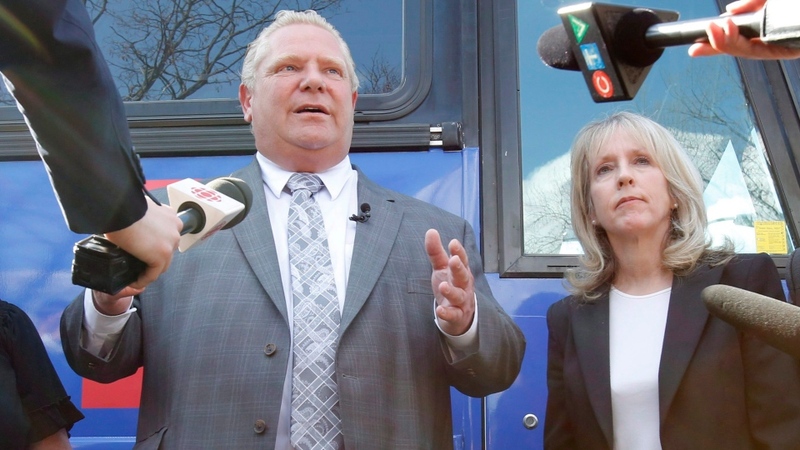 “The previous government believed in handing out OSAP funding to some of Ontario's highest income earners rather than focus student grants to those individuals who needed it the most,” she said Thursday. The Tories are in the midst of trying to trim a deficit they peg at $14.5 billion - though the financial accountability officer says it's closer to $12 billion. At the same time, tuition fees are being cut by 10 per cent, the government announced. It framed the moves as ones that will help the students in greatest need, but students and critics said that isn't the case. Core operating grants from the government to post-secondary institutions are contingent on their compliance with the tuition cut, but Fullerton said those grants - another important source of funding for post-secondary institutions - would not be reduced. “What's really scary is that I feel like this is a direct attack on the groups that actually try to hold the government accountable when it comes to student issues,” she said.